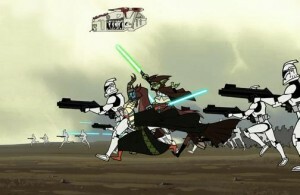 As I mentioned last week, I will be writing, roughly every other week, about the various appearances of the Clone Wars on television (and movie). 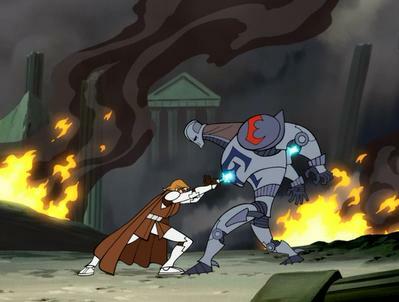 This week, I am beginning with Season 1 of Star Wars Clone Wars, which aired in the fall 2003 and consists of ten episodes, lasting a little over 3 minutes, each. The total runtime is a little more than a half-hour. Like fire across the galaxy, the Clone Wars spread. In league with the wicked Count Dooku, more and more planets slip. Against this threat, upon the Jedi Knights falls the duty to lead the newly formed army of the Republic. And, as the heat of war grows, so, too, grows the prowess of one most gifted student of the Force. While Yoda is providing this introductory monologue, setting the scene, we are shown a number of Jedi engaged in various battles: we see Kit Fisto, Mace Windu, Saesee Tiin, Yoda & Shaak-Ti, Barriss Offee & Luminara Unduli, Anakin Skywalker & Obi-Wan Kenobi, and, of course, Clone Troopers. 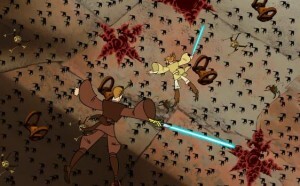 Yet, for such a major piece of the Star Wars saga, it is sad that we are not privy to see more about these battles taking place. 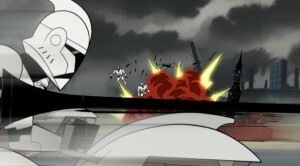 The Banking Clan has hidden huge factories on Muunilinst, building huge droid armies and massive warships. We must act quickly. With a quick interchange between Yoda, the Chancellor and Obi-Wan about leaving immediately, the Chancellor suggests Obi-Wan takes “Young Skywalker”: “I suggest that we give him special command of the space forces. His exceptional skill will be quite useful.” In shocked reply, Obi-Wan retorts, “Chancellor, I feel that Padawan Anakin is not yet ready for such responsibility.” However, Yoda interjects: “True, with his master, a padawan’s place is. But undeniably strong he has become. Perhaps,” He is no interrupted by the Chancellor, who decides that Anakin will go. On Muunilinst, one of the first series of fighting scenes involves a group called ARC troopers. Every time I watch the Clone Wars, I greatly enjoy watching them. It would have been tremendously awesome to have scene them in other battles and in other situations, but, alas, these scenes of them fighting on Muunilinst were all that were included. They were basically a special forces infantry scouting team and could do a lot. 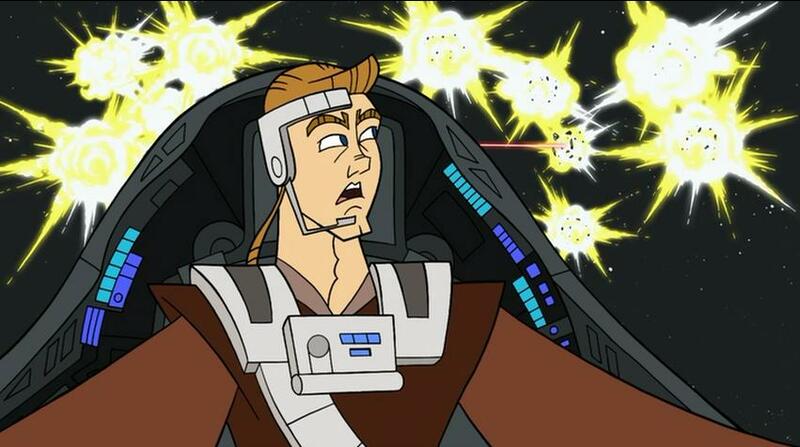 On Muunilinst, they took a side route to blow up the main gun that the Banking Clan had set up to fire off at the Republic’s ships. 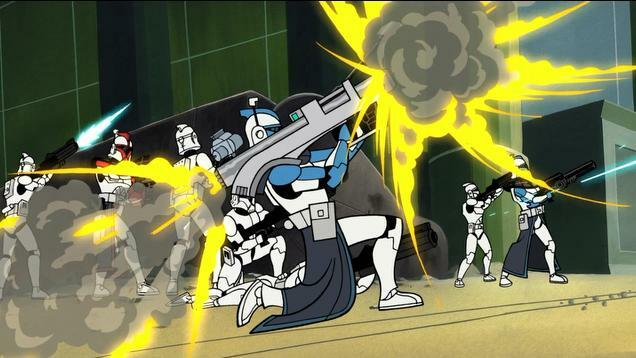 On Muunilinst, when the Clone Troopers have advanced a great amount, when the Banking Clan then sends in Durge, who, along with a bunch of IG units, ride on bikes with some sort of jousting lances. 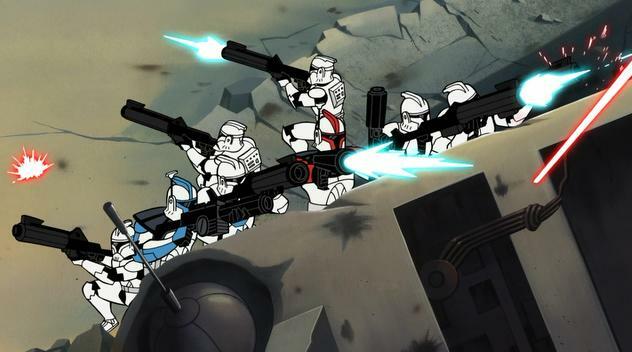 Durge and these IG units are able to then get pretty far into the Republic Army’s advances and destroy a lot of armored vehicles, as well. However, a bunch of clone troopers come on bikes of their own! 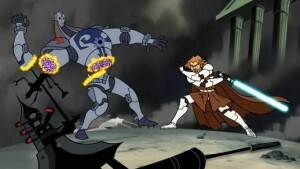 In the jousting that ensues, all of the IG units are destroyed, leaving Obi-Wan Kenobi to fight Durge, who can withstand a lightsaber. He is very formidable – not only fighting-wise, but also biologically! He gets sliced apart but grows back. 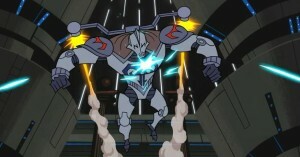 Eventually, we see many, many laser shots at him later on and he is able to withstand all of them!!! 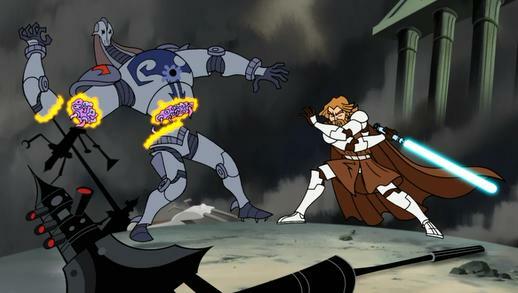 It takes a crazy move by Kenobi to fully destroy him. 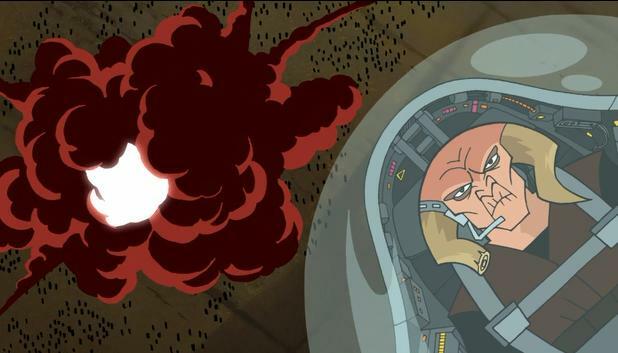 Eventually once he is destroyed, the banking clan surrenders. 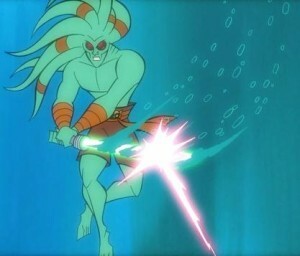 In this season, the only battle that we see that does not take place on Muunlinst is Jedi Master Kit Fisto leading an underwater battle on Mon Calamari. This is really great to see a Jedi Master who is not one of our main protagonists and to get a better sense of him and his abilities. 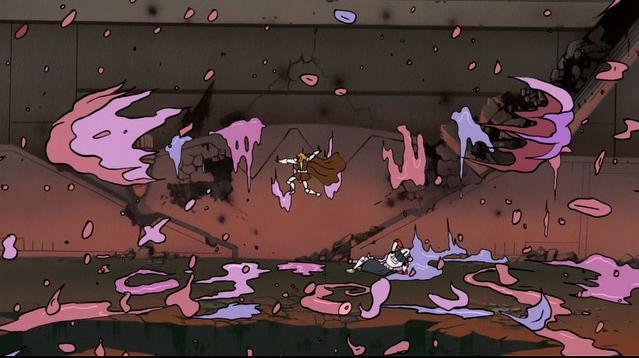 One of the neat things he is able to do is to create huge air bubbles and to send them hurtling in a destructive manner. This is an interesting battle and I wander why more were not included…. 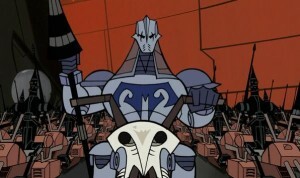 Although we see Durge leading the battle on the side of the Droids on Muunilinst, we also see a new antagonist emerge for Count Dooku. There is a battle arena in which many vicious warriors are fighting to the death. 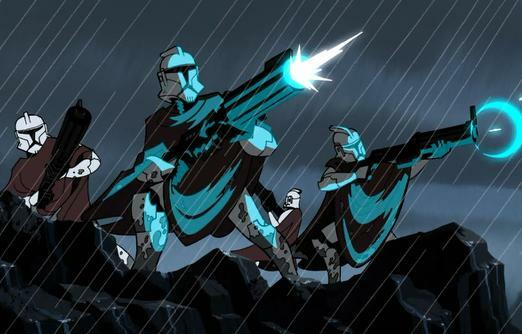 In this space, we see Asajj Ventress emerge from out of all of them as the last one standing. Dooku meets Asajj Ventress, since she has essentially killed her way to meet Dooku. It seems somewhat vexing to consider Asajj Ventress. She comes with lightsabers and clearly knows how to use them: so how does she get them in the first place and who taught her how to use them. And not just that, she is able to use The Force, so she clearly has been trained by somebody! Who? Lastly, she claims to be Sith. At this bold claim, Count Dooku challenges her and puts her in her place. 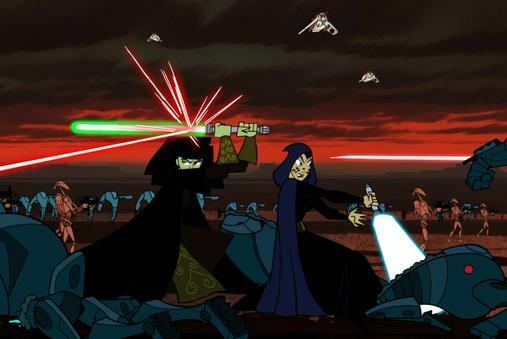 When Dooku takes her back to some lair of his, they engage in a lightsaber fight, with him able to destroy hers. However, all of it was under the watchful holographic eye of Lord Sidious, who agrees that she could serve as an assassin to go after Anakin. Count Dooku then gifts her with two new red lightsabers. She is then tasked with killing off Anakin, to which she happily assents. We also see that, above the planet of Muunilinst, Anakin Skywalker and the clone troopers have finished off the fighter ships of the Separatists and are about to finish flying until Asajj Ventress comes out of nowhere to destroy a bunch of Clone Troopers fighter ships. This new challenge leads Anakin to give chase and pursue her, leaving the season ending on a cliffhanger as to who this new threat is. So, in sum, we see that, despite there being at least a half dozen different battles shown to us, we really only see two of them: we see a bit with the battle of Mon Calamari and we see a lot going on with the battle of Muunilinst, both on-world and off-world. 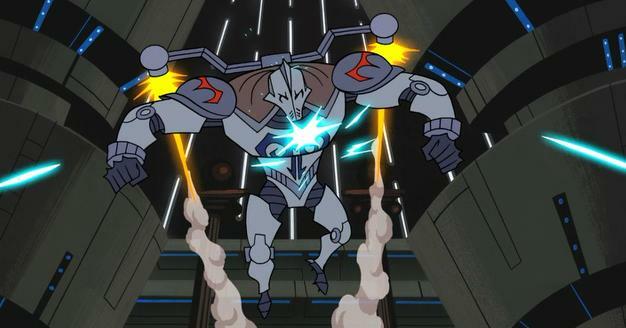 It is unclear why there is so much attention to the battle of Muunilinst, although we do get to see a main antagonist in the form of Durge, who is really an intense warrior. 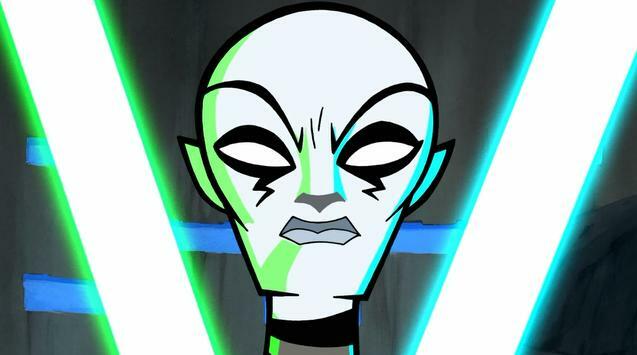 We also see the introduction and rise of a new Sith warrior, Asajj Ventress, who then challenges Anakin Skywalker. 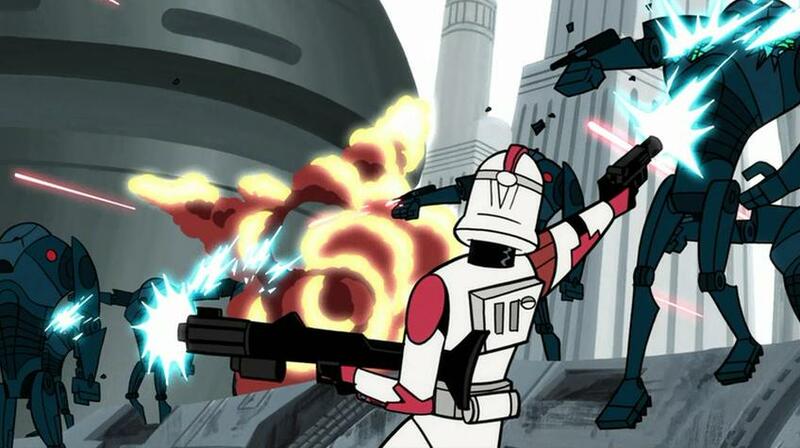 Lastly, there is not a lot of dialogue, especially in the fighting scenes (especially with the ARC troopers), which is fine, since the battle scenes are quite entertaining.